I have this awesome friend that is great and follows my blog. He would be great if he didn't follow my blog but because he follows it he's even better. He's been married for a couple of years now and we got to talking the other day about blogging, how and why I started Uplifting Love, and how it all works. During our conversation I had the idea of asking him to write a post. So I asked him if he wanted to and he said yes! Totally cool. So, without further ado, here's what my good friend, Preston, has for us. Enjoy! That was my wife’s response when I told her I was going to do this blog post for Uplifting Love. After I assured her I would do my best with my very limited blogging experience, we had a fun time talking about the wisdom we have collected from loved ones throughout our lives, and during our two happy years of marriage together. His wife is also living proof of the joy that marriage brings, and is a fine example of cheerful living. We are grateful for them. 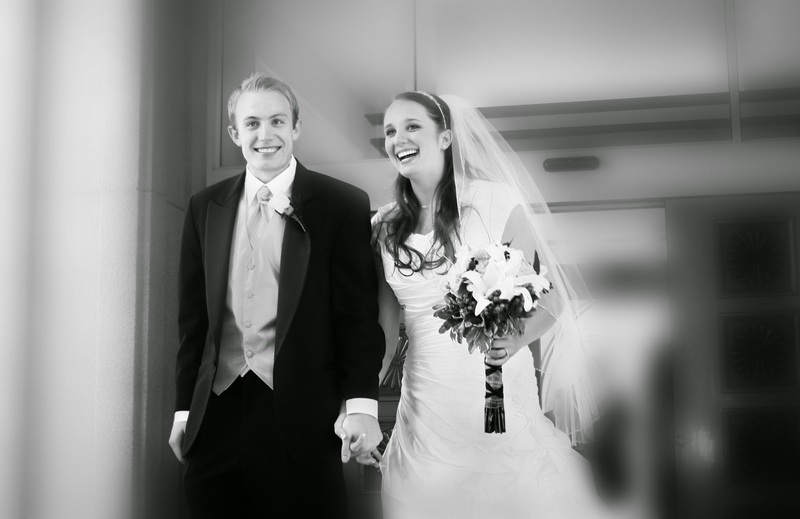 My wife and I were then sealed together for time and all eternity in a temple of the Lord(3). We are members of The Church of Jesus Christ of Latter-day Saints and the covenant of marriage is a precious gift for us(4). After our temple marriage, we had a reception in one of my best friends’ backyard. As we were standing in the reception line, we watched an older gentleman walking through the line. He is a family friend, and is one of the hardest working men I know. Our family knows him as “Brother Graves” and the simple advice he gave is one of the things that sticks out in my mind to this day. Couples who communicate on important issues, love God, and work together in their marriage will find that marriage becomes a source of eternal happiness. That is what my wife and I have learned in our short time together, and plan to continue to experience forever. The best marriage advice we received- if you're fighting get naked. Matthew 6:33 is a great piece of advice to give, you can't argue with God's Word! :) My grandfather always told us never to let the sun go down on our anger and a kiss on the cheek always softens a hardened heart. I love that last part Dawn, about not letting the sun set on our anger and the kiss on the cheek softens a hardened heart! Thank you so much for sharing that!! I love that, the kiss on the cheek. So precious. All good advice. Also, love the citations! I'm next to you at Jennifer's link up! We've been married 38 years and haven't managed the never argue thing. What we have learned is to be forgiving. I think you bring up a good point Elizabeth. Because we are different people than our spouse we will assuredly have disagreements and, because life often drains our energy, those disagreements will turn into arguments. The important thing is to try to avoid the escalation into an argument and, when it does happen, be quick to forgive just like you pointed out. Thanks for adding to the discussion! It is a precious blessing to have people pour love and encouragement into you and your wife! I had to learn that I didn't have to fight to be me - because I had to have that battle growing up. I had to learn to put down the boxing gloves - so-to-speak. I think the first 7 years of marriage - or is it 13 - are about getting expectations on the same page. We've been married 31 years in over a week - and when you choose love and forgiveness all wrapped in God - marriage is a beautiful thing - and just gets sweeter and sweeter! Sounds great, but not always the reality of a relationship. True Joe. Ultimately we need to remember our love for each other and keep our perspective, that our spouse and our marriage are more important than whatever it is that is causing a "discussion" at the moment. However, if we shoot for the moon we'll might land there, but if not at least we'll be in the stars. That's the way I look at it. Our goal should be to prevent contention in our marriage, however, like you said, this isn't always possible for one reason or another. In those cases we'll fall in the stars. But the moon is better. Thanks for the perspective and the reminder. It's always appreciated!